My new cat, Cocoa, and my older cat, Felicia, are getting along a lot better lately. Felicia's still a bit territorial at times, but at worst she bops him on the nose and Cocoa is smart enough to just walk away. 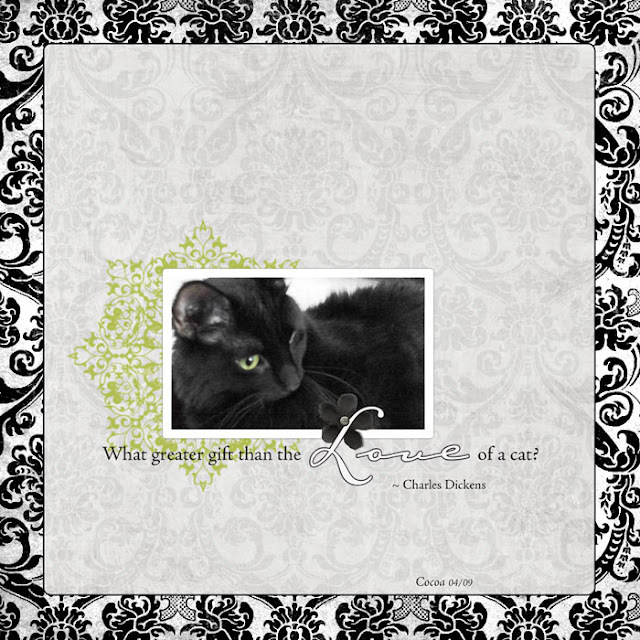 The quotation is from Charles Dickens: What greater gift than the love of a cat? MEOW! What a gorgeous cat!